Our fundraising event software tools make it easy to set up and collect registrations, payments and donations so that you spend less time with busywork and more time creating amazing experiences. Making an impression and communicating your mission starts long before the event day. And our integrated event marketing and attendee management tools enable you to give guests the red-carpet treatment every step of the way. When planning events, you need the right tool for the job. 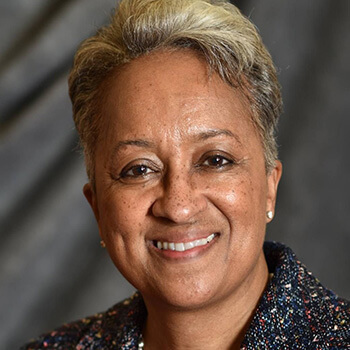 While fundraising software focuses on membership or donor management, we provide proven tools for running smooth and profitable events (while integrating with other nonprofit software programs). 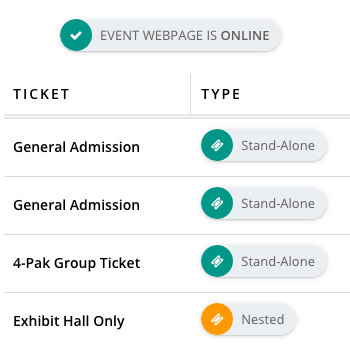 With our nonprofit online event registration tools, you can build custom tickets and Web-based registration forms with surveys to collect attendee details. Process online credit card payments seamlessly as well as collect and track donations. Sell add-on merchandise during transactions. "Planning Pod has everything we need … it has completely streamlined our process of gathering registrations, booking events and invoicing customers." Most non-profit events have many stakeholders involved in the planning process, and our tools keep everyone on the same page. Create and assign tasks. Share planning calendars. Build detailed timelines with assignments. 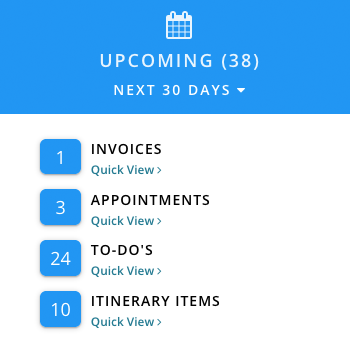 Track expenses and payments with budgets. Manage files, notes and checklists. 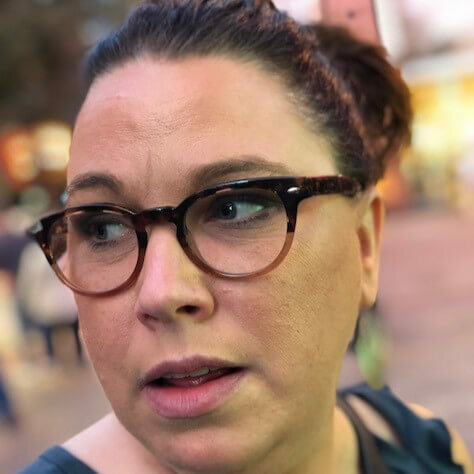 "An all-inclusive tool that keeps all my event details in one place … the overall user interface is also very user-friendly." You want the entire event experience to flow seamlessly for your attendees. Which is why we offer an event website builder for an impressive online presence. Branded registration confirmation emails and tickets. Attendee CRM tools and order tracking. To-scale event floor plans and seating charts. And a guest check-in tool for short lines at the door. We understand you may be using other tools to manage your members, donors, bookkeeping, calendars and email communications. So we integrate with 1,000+ applications via the Zapier platform so you can share account data with other platforms like Google, Salesforce, MailChimp, Constant Contact, Quickbooks, Xero, Donately, Mightycause and more. A huge factor in planning a successful event is knowing where you stand at all times with every detail. 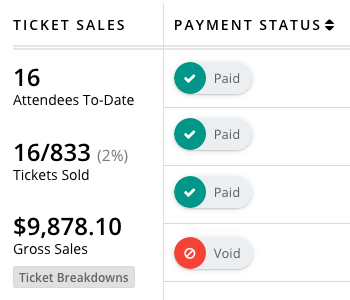 With our non-profit event management software, you can run comprehensive attendee, budget, registration and revenue reports for events plus view at-a-glance dashboards for a 30,000-foot view of your events (including completed, upcoming and overdue items). When brainstorming on fundraising ideas for your non-profit organization, you probably find that fundraising event ideas always seem to bubble up towards the top, and for good reason. Generate revenue in a variety of ways (ticket sales, registrations, donations, pledges, live or silent auctions, sponsorships, etc.). Build a community with your audience that can't be replicated online or via social media. Reward your supporters / members and recognize them in person and by name. Entice new supporters / members with your event theme, entertainment or content. Communicate your mission and message to a captive audience. Provide an occasion where the news media can easily promote you and spread your message. Attract donors and sponsors more easily (because they want to reach your audience). But once you have committed to launching one or more charity events, now comes the hard part … actually planning the event. Luckily, there are now dozens of non profit event management software tools you can use that streamline the entire event planning process. Some of these tools are more off-the-shelf and easier to use (which is great for teams that have a number of volunteers and committee members) while others are more enterprise-level applications (more features but more difficult to use). 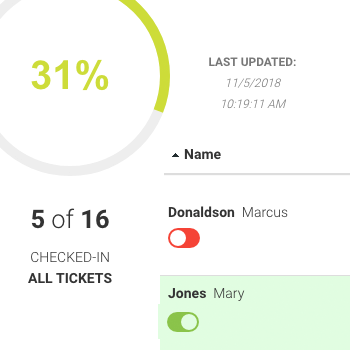 In addition, some tools are more all-in-one event management applications like Planning Pod, Aventi and Cvent, while others focus more on registration and ticketing like EventBrite, Brown Paper Tickets, RegOnline and Ticketbud. And some are donor management and fundraising platforms like Wild Apricot, Fundly, Salsa Labs, MobileCause and GiveLively that offer at least a few fundraising event software tools in their mix alongside tools for crowdfunding, peer-to-peer fundraising, team and corporate fundraising and matching gifts. So how to choose what is the best nonprofit event registration software for you? Here are 12 tools you should look for to cover all of your bases in planning a non-profit event. Flexibility in creating online registration forms and multiple tickets is the key thing to look for here. Also look for ability to create multiple sale dates and prices for online ticket sales; add-ons for merchandise sales or nested tickets; RSVP tracking; and forms that you can embed in your website via iframe technology. Most online event registration software for non-profits offer either their own credit card payment processing or integrate with platforms like WePay, Stripe or PayPal. Be aware that there are typically two types of ticketing fees or additional charges assessed for each ticket purchased by credit card. Credit card processing fees - Fees charged by the processing companies themselves; these can vary from 2.5% to 3.5% per transaction but 2.9% + $0.30 per transaction is standard. Service charges - Fees added on by the software platform; these can either be a flat fee; a percentage of the transaction; or a combination of both. Some platforms also allow tickets to be purchased by check or ACH, and some also allow for online invoicing and billing of sponsors and large donors. 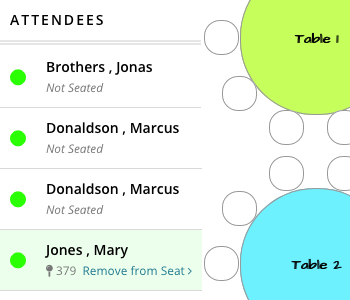 At minimum the non profit event management software you are considering should include a guest list tool that's a contact manager / CRM / order management tool all in one. 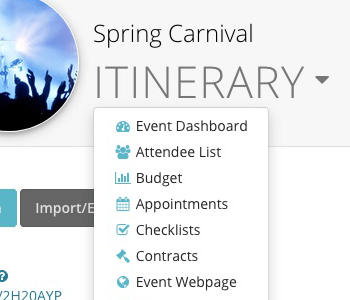 However, other critical features an include event apps; event floor plan layout and seating chart builders; name badging; and lodging / room management. Finally, a check-in tool is critical for managing guests at the door. Considered the nuts-and-bolts of event planning, these tools include things like event task management and shared calendars as well as the ability to create timelines and event schedules, detailed event budgets and non profit event planning checklists. In addition, some larger events require the use of event venue management software systems to manage rooms and spaces in the venue you have booked as well as event vendor management systems for tracking all your vendors and their responsibilities. The best way to reach out to and stay in touch with members and potential attendees is via email, so having a good system to send email invitations as well as email reminders to your registered guests is essential. Many non-profit event planners already use a tool like MailChimp, so the online nonprofit event registration software tool you select should ideally integrate with your email tool of choice. Marketing a non-profit event is critical in hitting your attendance and revenue goals, and there are a few key tools for accomplishing this. The first are customizable event websites that let you upload images, text, videos, schedules and more as well as include registration forms. Next are social media marketing and promotion tools like Hootsuite and AgoraPlulse which help track postings to Facebook, Twitter, LinkedIn, etc. And features for building surveys, forms and polls let you collect feedback from attendees easily. Besides online event registration tools for nonprofits, integrating with other applications may be the single-most important feature mentioned in this article. This is mainly because most non-profit organizations and charities use between 5-15 different pieces of software, and if your data is spread across all these applications without the ability to push and pull data from one to another, then you will always be juggling applications and never get a full picture of what is going on in your events. Two ways of integrating are through integration platforms like Zapier, IFTTT and Automate.io or through direct integrations via API. An advantage of online event software for nonprofits is that most platforms allow for multi-user access and give you control over permission settings for those users. This way, multiple staff members, volunteers and committee members can log in and collaborate inside of the application itself. Also, many online applications are mobile-friendly so users can access the software on mobile devices like iPhones and Androids as well as Macs and PCs. The ability to collect donations online as well as track the donor information is a huge asset of any non-profit software, including those for managing registrations and events. A huge bonus is when non-profit event registration software is equipped with the ability to allow for minimum/maximum ticket prices (to let people donate over the ticket price) as well as to make donations without purchasing a ticket. Landing sponsorships early in the event planning cycle can sometimes offset the expenses you will incur, so it's important that your platform be able to manage sponsorship leads, send out proposals, collect signed contracts and invoice for sponsorship packages as well as track sponsor contact information for future events. Being able to download PDF or .csv reports that you can open into Excel or Google Sheets and share with staff and committee members can certainly facilitate your internal approval processes. A system that also offers dashboards, reminders and status updates can be of immense help to ensure every stakeholder is informed and on track. Most non-profit events are dependent on a crew of volunteers to staff day-of operations for things like manning the registration check-in desk, running the silent auction, handling production coordination or even serving food and beverages. As such, your non-profit event management software should enable you to manage their contact information and track their assignments for the event day.